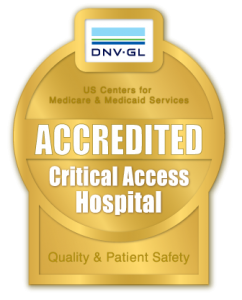 Forks Community Hospital successfully completed accreditation from DNV GL – Healthcare on December 12, 2013. By earning accreditation, Forks Community Hospital demonstrated that it meets or exceeds patient safety standards (Conditions of Participation) set forth by the U.S. Centers for Medicare and Medicaid Services. 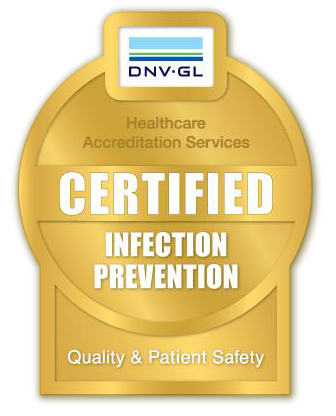 DNV GL’s accreditation program is the only one to integrate the ISO 9001 Quality Management System with the Medicare Conditions of Participation. Forks Community Hospital has three years from the date of accreditation, to achieve compliance with ISO 9001, the world’s most trusted quality management system used by performance-driven organizations around the world to advance their quality and sustainability objectives. Forks Community Hospital announces that it has received its, Certification in Infection Prevention (CIP) recognizing exceptional processes and approach to mitigating infection risk that exceeds current standards. Forks Community Hospital is the only Critical Access Hospital in the United States to receive the certification. “This certification lets our community know we have the resources and commitment to provide the best possible care for managing infection risk,” says Director of Patient Safety & Quality, RN D. Dillon. “The CIP Certification requirements build upon three important pillars: a proactive rather than reactive approach to safety, the development of a safety culture that is transparent and accountable, and engagement of all staff towards a systems-driven approach to safety.” Achieving certification validates all the effort we have put into this program and to ensuring the health and safety of our patients.